Situated at the old Venetian harbour, Casa Delfino Suites is an elegant	17th century Venetian mansion, carefully and attractively restored as an exclusive hotel of just twenty-one suites. 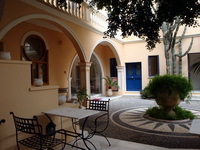 A secluded entrance leads to the large sheltered courtyard of pebble mosaics, where guests can enjoy the peaceful shade. Business guests are provided with other special conveniences such as dataport, for fax and computer modem connection and the entire hotel has wireless internet. For those who have left their laptops at home there is a computer for guests too. 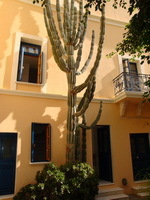 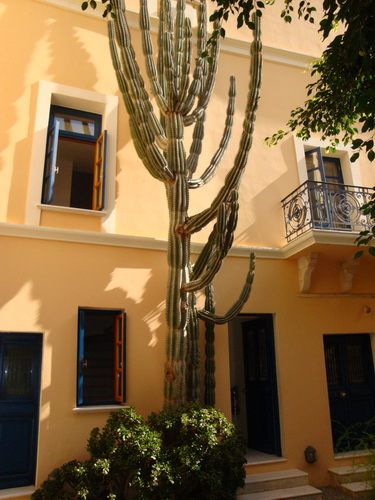 Casa Delfino Suites has a small stylish bar that leads to a sitting area, then out to the large private courtyard filled with trees, flowers, and an enormous cactus. 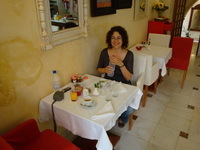 This is where the daily breakfast buffet is served. 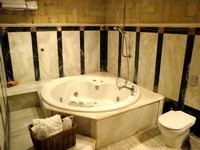 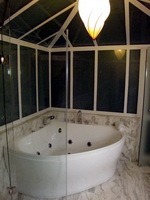 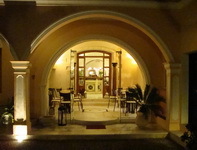 The staff are friendly and helpful at all times, while the atmosphere is relaxed and informal. 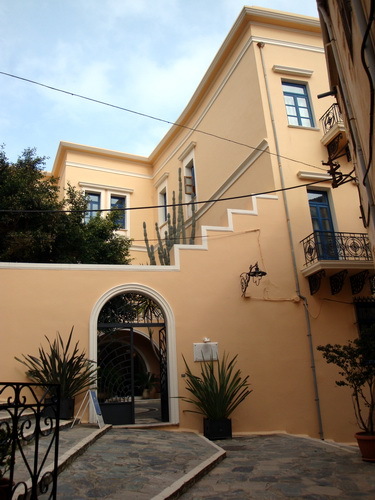 From Casa Delfino's comfortable retreat, guests can easily explore the many side streets of Chania's old town that are full of fine shops and restaurants. 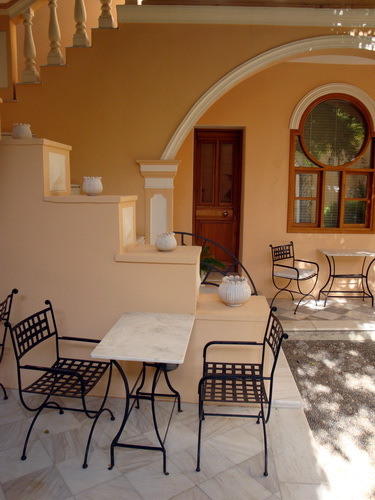 Casa Delfino will appeal to couples seeking a comfortable and refined haven in the heart of what many consider to be Crete's most attractive and exciting town. 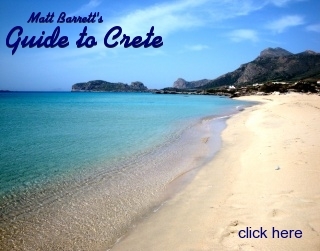 A good bus service allows one to venture to the local beaches or around the island though there are several beaches within walking distance. 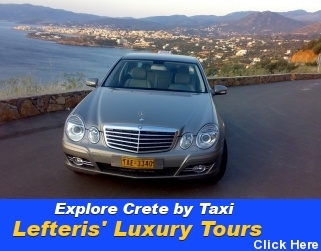 Car hire is recommended to explore further afield, where you will discover the historical legacies of the Minoan, Byzantine, Venetian, and Turkish civilizations. 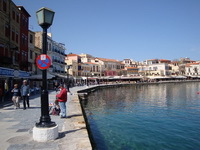 The island offers many beaches, gorges, and charming fishing villages. 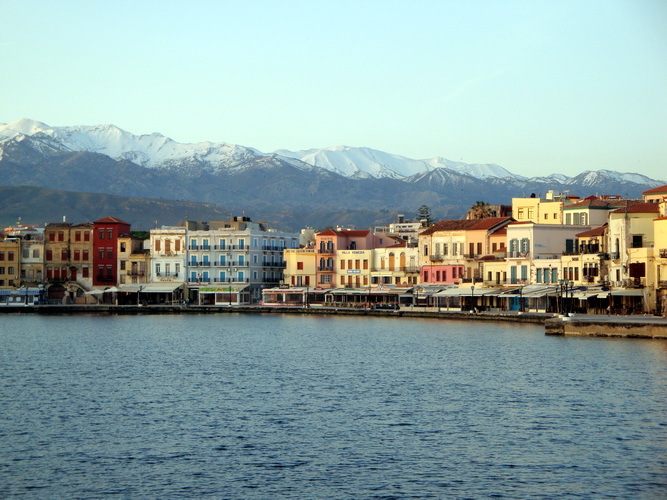 Some say that Crete is the most spectacular island in Greece and the Western end of the island is probably the most beautiful and unspoiled. 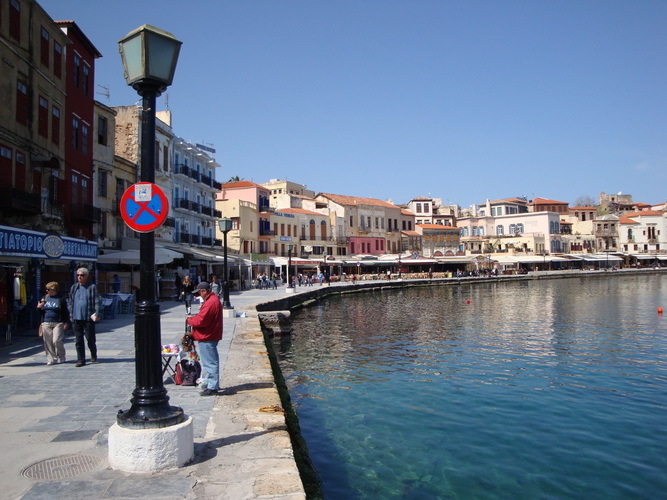 The old walled town invites the visitor to become lost amongst its theatrical bustle of shops, markets, tavernas, bars, and village street life. 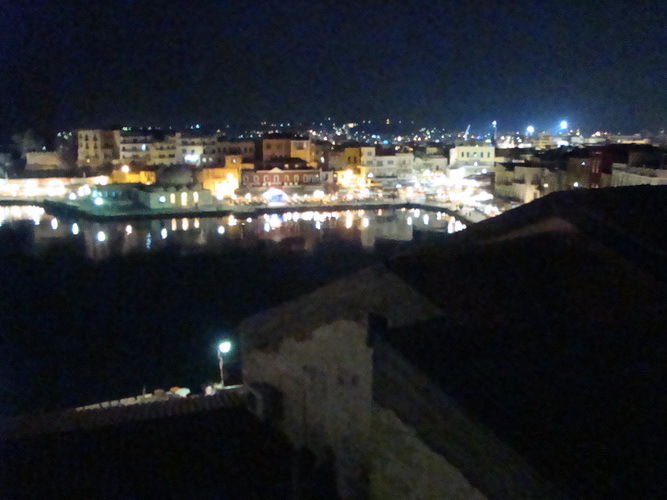 The town is a beautiful puzzle of Minoan, Venetian, and Turkish architecture punctuated by hidden squares. 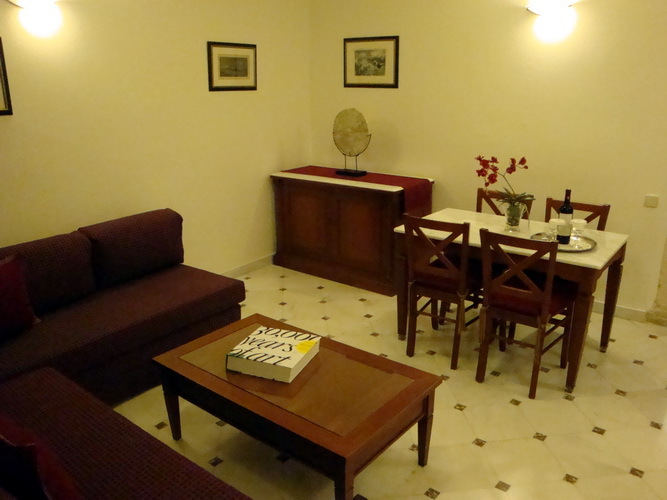 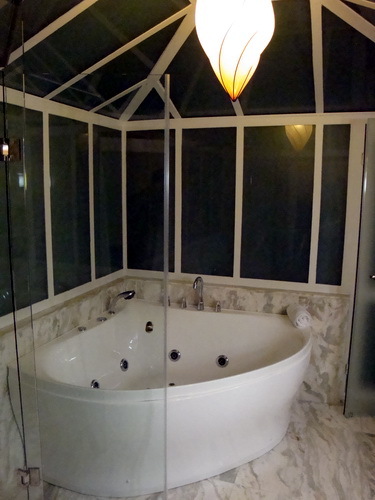 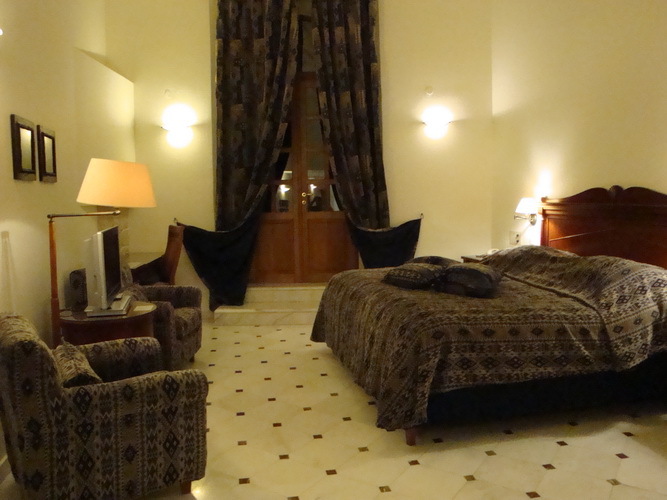 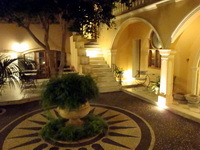 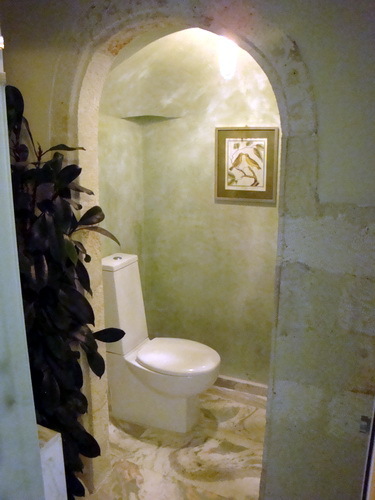 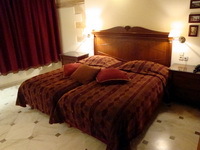 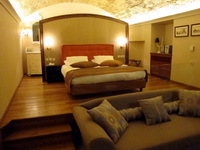 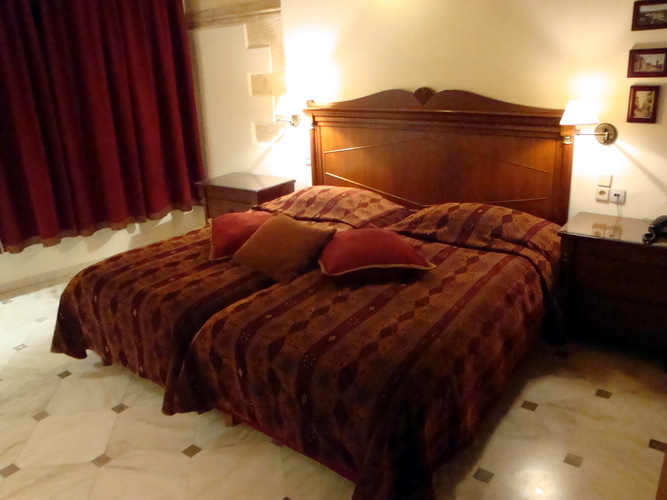 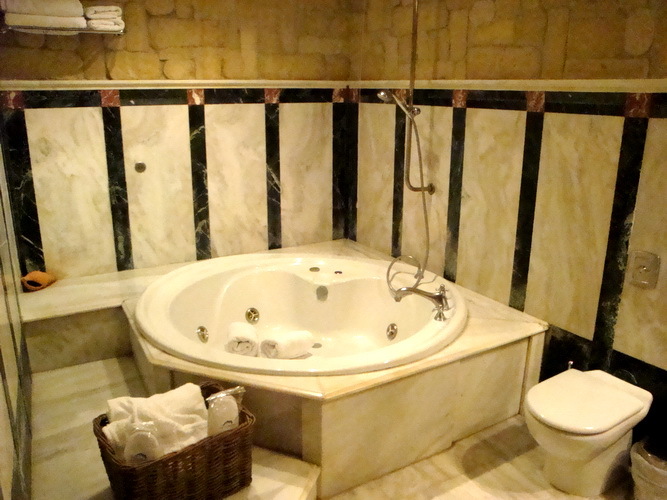 Casa Delfino Suites is seventeen kilometers from the Chania International airport and is a fifteen minute taxi ride. 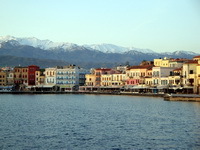 Souda Bay is the nearest port, at a distance of seven kilometers. 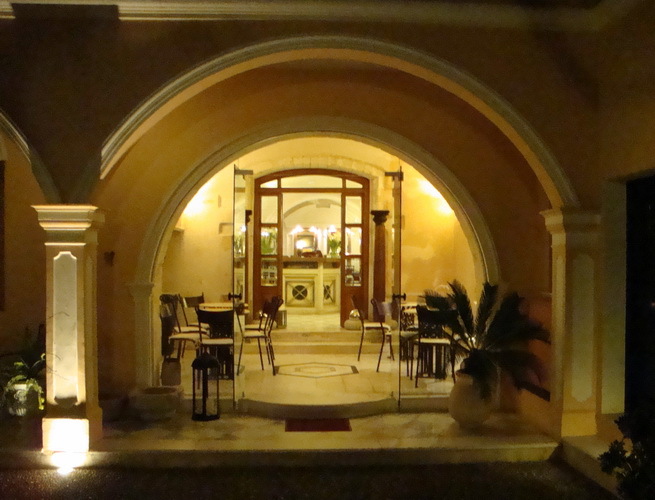 Transfer arrangements can be made with the concierge for transfers between the hotel and your point of arrival / departure.